How are college admissions budgets changing as institutions adapt to changes in technology, student behavior, and the college admissions process? 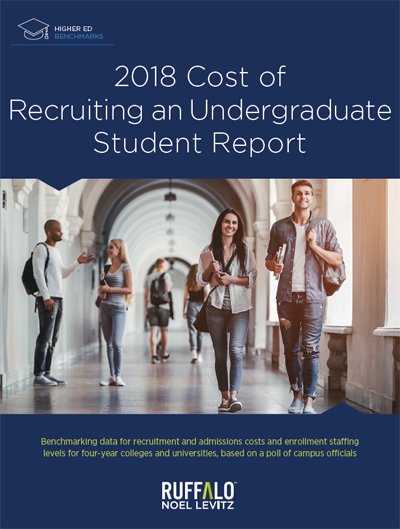 Ruffalo Noel Levitz polled enrollment managers on this question as part of our 2018 Cost of Recruiting an Undergraduate Student Report. We asked these institutions how their budgets were changing overall, as well as which areas would see greater increases or decreases. The poll included four-year public and private institutions. First, respondents answered how their budgets for the 2017-18 cycle changed compared to 2016-17, and also the 2016-17 budget compared to the previous year. For four-year privates, nearly one in three said they had a budget decrease for the 2017-18 year, compared to just 7 percent of four-year publics. About one in four private and public institutions said their budgets would increase, while the largest majority across both sectors said their budgets would stay the same. Regarding website development and maintenance, the low allocations may be because this activity does not come from the admissions budget. 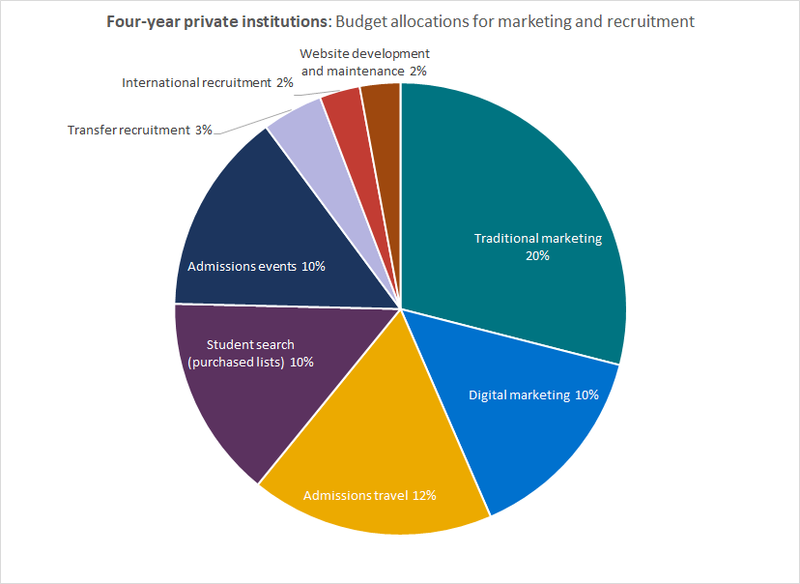 Traditional marketing was by far the largest allocation for private institutions and slightly ahead of admissions travel for public institutions (although not by a statistically significant amount). However, for the next question, respondents indicated whether they anticipated changes to their allocations for these activities, and traditional marketing was the area where the largest number of respondents expected a decrease. 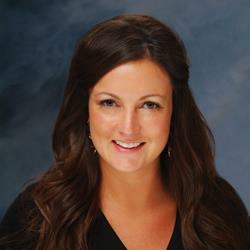 The contrast between digital and traditional marketing shows the shift occurring in student marketing and recruitment. 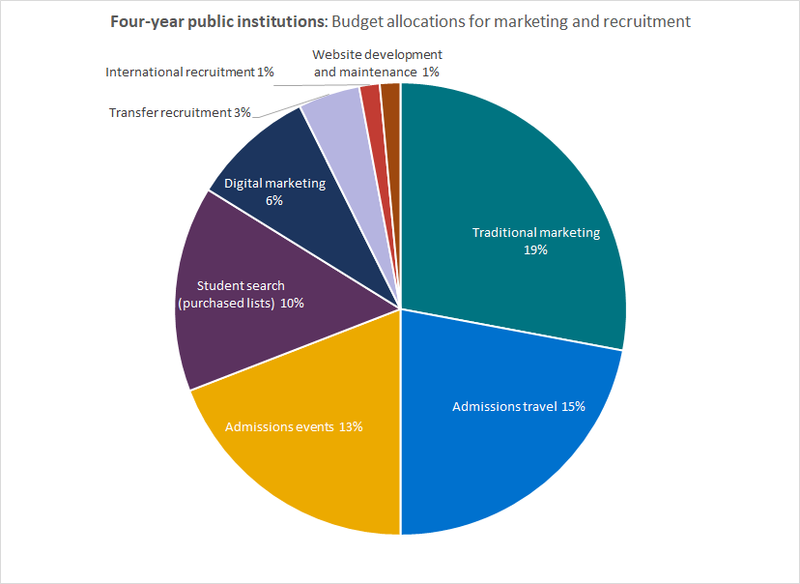 While 61 percent of public institutions and 55 percent of private institutions said their allocations for traditional marketing would remain the same, nearly one in four public campuses and 15 percent of private ones said it would decrease. Contrast that with 60-70 percent of campuses saying their digital marketing would increase. It is also notable that travel and international recruitment were both listed as top items for decreases, although one in three public institutions said their travel budgets would increase.